Bill Pay – It's a service that can save you time and money with this quick, easy way to pay your bills, through our secure and user-friendly online system. Bill Pay is FREE, and conveniently located on your Online Banking page. E-Statements – This Free service will not only help reduce your paper clutter, but you'll have online access 24/7 to current and previous statements, to print and/or download. Choose Enroll Online located to the left side of our homepage. Then follow the instructions. Speedy Access is a free service that lets you manage your accounts by phone. You may review account transactions, identify cleared checks, verify balances, transfer funds between accounts and more—from anywhere at any time. The perfect gift no matter the occasion. be used for hotel rental, car rental or gas purchase. Cinemark Movie Tickets - Members may purchase discounted Cinemark tickets at any of our branches. 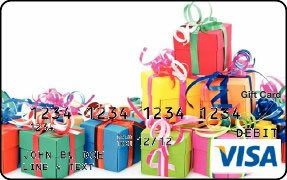 Visa, MasterCard, Discover and American Express are accepted forms of payment. Your must have a printer installed on your computer to print the tickets at home. All tickets are non-refundable and are goof for the current season only. Please check the parks website for hours and dates of operation. There are certain days the park may be closed for private events. Credit union members get $100 per line in cash rewards for every new line activated with Sprint® — and, for a limited time, this offer is available on UNLIMITED lines. Plus, you’ll receive $100 in loyalty cash rewards every year. Add a line to your new or existing Sprint account and mention you’re a credit union member. Cash rewards will be directly deposited into your credit union account within six to eight weeks. Take advantage of this limited time offer today! Visit LoveMyCreditUnion.org/Paul to learn more. Also, I wanted to update you with some changes we have made to help track your marketing and to measure the success of it. We have created a custom URL for your credit union which includes a UTM code. UTM codes are a tool that allows tracking of the Sprint text link located on your website, which makes fulfilling your marketing requirements that much easier.